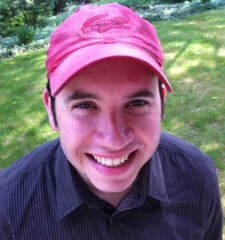 Ethan Joella is Associate Professor of English at Albright College where he teaches creative writing and literature. His fiction, essays, and poetry have appeared in The Robert Olen Butler Fiction Prize Anthology (forthcoming), Best New Writing 2008, The International Fiction Review, The American, The Collagist,Journal of Microliterature, SNReview, Perigee, Tiferet, Product, and Paradigm. He lives in Pennsylvania and Delaware with his wife and daughters. This class stands out for me as the best poetry class I have ever taken. I was able to write a poem that had been smoldering in me for 40 years. I was able to use the poem mapping exercise to revise a poem that had never sounded just right and now has been shifted to my “finished” pile. I learned dozens of techniques and approaches. I met some wonderful, warm writers. My sometimes shaky goal to become a better poet was bolstered and reconfirmed.